What do older viewers watch? We hear every day what viewers aged 16-39, 18-49 and 25-54 watch. But what about viewers over the age of 55? In the week of May 14 – 20 here’s what they watched. Seven News was the top show of the week for viewers 55+ at 666,000 viewers. Nine News was 597,000 then ABC News (Sat: 564,000), TEN Eyewitness News (298,000) and SBS World News (101,000). Drama features prominently with older viewers, especially on the ABC. The week was led by The Coroner (pictured 605,000), Grantchester (537,000), The Halcyon (504,000), DCI Banks (350,000), Home and Away (324,000), River (321,000), New Tricks repeat (311,000), NCIS (298,000), Seven Types of Ambiguity (276,000), Silent Witness (253,000), and The Bold and the Beautiful (202,000). Australian Story (489,000) was out in front followed by A Current Affair (450,000), 7:30 (445,000), Four Corners (434,000), War on Waste (425,000), Media Watch (393,000), Sunday Night (299,000), Great Continental Railway Journeys (291,000), Foreign Correspondent and 60 Minutes (both 287,000). 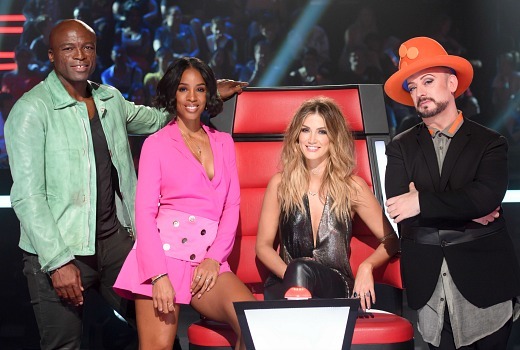 The Voice (450,000), House Rules (364,000), MasterChef Australia (305,000), Britain’s Got Talent (246,000), Seven Year Switch (135,000) and The Last Resort (106,000). The Chase (437,000), Anh’s Brush with Fame (431,000), Hot Seat (368,000), The Weekly with Charlie Pickering (329,000), The Checkout (326,000), QI (239,000) and Have You Been Paying Attention? (225,000). Ask the Doctor (378,000), Better Homes and Gardens (347,000), Gardening Australia (304,000), The Living Room (214,000), Getaway (200,000). 1. This is a huge age group. Generalisations about a 75yo will be totally different to a 60yo. About time to break it down a bit more. 2. Whenever advertisers think a show is for 55+, the only ads they show are for life, funeral insurance or retirement funds. Very boring. 3. I think finding out what the older people don’t watch would be more interesting, rather than a recital of the same shows that everyone else is watching as well. 4. If an advertiser can gain a new sale from a 55yo, then it is likely that they will then have a 20+ year loyal customer. A 20yo would not generally stay loyal for that long. The problem to me is the quality of the shows, many don’t have that same ‘feel’ about them like the older ones. Kids are too brash, violence reins in most episodes, swearing, sexual references, drug and alcohol abuse by people whoyou would want to put your trust in, in real life. Thats why I like NCIS, they at least have characters you can follow easily and the humour helps to break up the ‘bad bits’. Not to mention some of the acting is awful in some of the new shows. And to me, the worse things are, everyone is either having an affair, are pregnant with their partners child or someone elses, have too much much attitude making them unlikeable. Some of the females are full of themselves which i don’t like, but thats just how I see them. Your comments are spot on. I haven’t yet reached that demographic, but I find very few new shows appealing. A glut of crime/violence shows makes it hard to find something fresh. Characters hop from bed to bed in a totally unrealistic way, and as you say, writers seem unable to create a story without adultery or one night stands. Female characters are often very unattractive in personality. Because of this, it is not surprising that the older group are following older, quality shows to the streaming services. I’m well over 55 but of the 44 shows listed I only watch 4 of them. Some of these shows I had to look up as I hadn’t heard of them. I never watch the news normally as 99% of it is fluff. I agree middledog….new shows are just garbage…and I only watch about 8 shows out of the whole list…I too am well over 55 and I still think the way they work out ratings (and related figures) is also a load of garbage. You will note that the times are usual peak FTA viewing hours of approximately 6.30 PM to 9 PM, I would be interested to know gender preferences especially for soap opera and reality / games shows. No reference for streaming or Pay TV?, over 50’s are a lot more tech savvy than they are given credit for. Here’s what this 56 year old watches: The Americans, NCIS (original only), Outcast, Gotham, Hawaii Five-0, Scorpion, MacGyver, Humans, Mr Robot, Legion, Preacher, Westworld, The Man In The High Castle, Sense8, Orange Is The New Black, 12 Monkeys, Black Mirror, Fargo, Once Upon A Time, Archer, Bob’s Burgers, American Horror Story, From Dusk Till Dawn, Better Call Saul, Twin Peaks, X-Files, The Unbreakable Kimmy Schmidt and probably a couple of others. 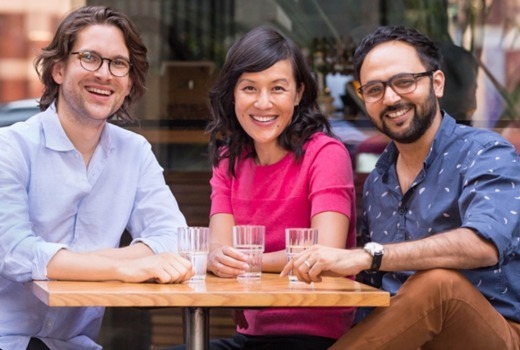 Free To Air TV is all but gone for me, basically it’s Anh Do, Home Delivery QI, The Book Club, with top ups from iView and SBS On Demand. I rotate between Netflix (US feed mainly), Stan, Amazon Prime, Hulu and some Movies and hard to gets I hire off Google Play. As a 55+ I don’t watch any “Reality” and since retiring “Lifestyle” has gone too. Advertisers won’t reach me on Social Media. As a group, many of us are debt-free and we have more disposable income than any other age demo, yet the advertisers go after the “cool” & “hip”. Self-indulgence isn’t limited to the young. Neither do we watch ‘Lifestyle’, or ‘Reality’ and we are in our 60’s. Cooking shows yes, but the ‘normal’ ones where they actually cook something you can eat. The godo ole’ shows too like Bewitched, MASH.Jag, Judging Amy…. It doesn’t make sense to me why 55+ aren’t counted. 55+ have grown up with FTA, most have stuck by this platform and are most likely to watch more TV as they get older as they just don’t get out as much. Is it just hip and cool to just go after the younger market? My mother is 80 years old. She has money, she is still a consumer and she watches ads on TV. Maybe someone can enlighten me. Sure, older people obviously still buy groceries, pay for utilities, a bit of petrol if they’re still driving, take the occasional cruise, etc. However, as a general rule, they don’t spend anywhere as near as much as younger adults who buy more junk food, replace clothing and electronic goods much more frequently, and are possibly starting out on the road of filling a house (and garden) with stuff. Compare the expenditure profile of a family of 2 + 2 teenage kids with a single person over 70 and you can see where the money is. It’s not hip, it’s business sense. Similar to Secret Squïrrel however a bit more info as well as a 56 year old. Networks go after youngsters as they’re more attractive to advertisers for the reasons you state. The over 55s are more likely to be watching FTA and hence see ads, meaning shows that do get younger eyeballs on the adverts are more attractive as they’re a more difficult demographic to reach on TV at least. Very interesting article David, thank you. Always wondered exactly what ‘older’ viewers were watching. Interesting insight! Perhaps the 55+ crowd watch a little more news and ABC then those under 55, but there are just more people in that age bracket watching linear TV than those under, and as the population ages there will be more total people over 55 than under (if that’s not the case already). These viewers shouldn’t be ignored. Why are these people the forgotten ones? I fall into this category. Surely advertisers see us as potential. I know many older folk who watch TV on a TV not streaming or downloading shows. Maybe they need to include these people in surveys……. We watch Murdock Mysteries as well. We have found this show a weekly favourite. Its great how Murdock often finds a way to use modern technology back in the late 1890’s. I think its under rated. Yes, I have to tell people that has well.